The Pakistan Peoples Party (PPP) has formally asked the interior ministry to place the names of Prime Minister Imran Khan and other ministers on the Exit Control List (ECL) as either an investigation had been initiated against them for corruption or references had been filed against them. PPP Secretary General Farhatullah Babar on Saturday wrote to the State Minister for Interior Shehryar Afridi and demanded to place the names of PM Imran and several federal ministers, PTI senior leaders on the ECL. The move comes right after the Pakistan Tehreek-e-Insaf (PTI) government placed the names of 172 persons accused of being involved in a massive fake accounts case on the ECL including PPP Chairman Bilawal Bhutto Zardari, Co-Chairman and former president Asif Ali Zardari among other party stalwarts such as Member of Sindh Assembly Faryal Talpur, and Sindh Chief Minister Murad Ali Shah. 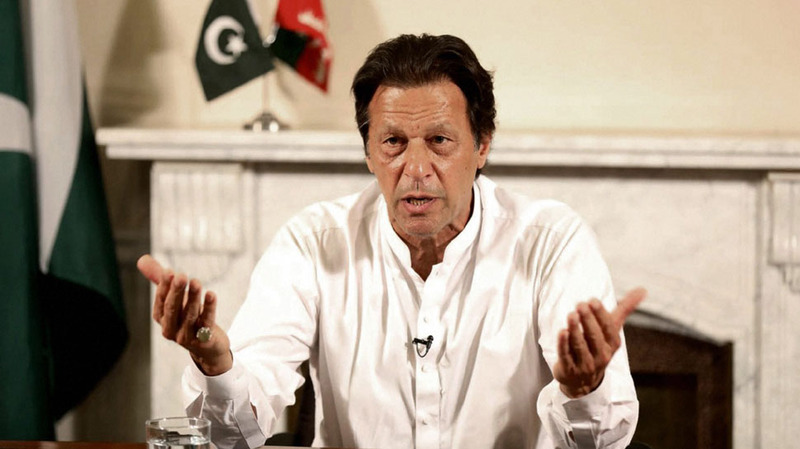 Besides the prime minister, the list contains names of federal ministers Pervez Khattak, Fehmida Mirza, Khalid Maqbool Siddiqui and Zubaida Jalal while Khyber-Pakhtunkhwa Chief Minister Mehmood Khan and senior provincial minister Atif Khan are also added to the list along with Punjab senior minister Aleem Khan and party heavyweight Jahangir Tareen. The PPP secretary general in his letter argued if names have to be placed on the ECL merely on the basis of Joint Investigation Team (JIT) reports then the same principle will have to be applied uniformly and without discrimination. “More names will follow soon,” the letter read. Meanwhile, the letter also stated, “Information Minister Fawad Chaudhry announced on Dec 27 placing the names of PPP leaders including ex-President Asif Ali Zardari and Chairman Bilawal Bhutto Zardari, on the ECL. The cabinet had decided to place all the 172 persons named in a JIT report on the ECL, the announcement said. Significantly, the ECL decision by the cabinet was made within hours of the meeting of the Central Executive Committee (CEC) of the PPP in Nauderao, Sindh on the eve of 11th martyrdom anniversary of Shaheed Mohtarma Benazir Bhutto. The party’s executive committee denounced political vendetta in the garb of accountability, demanded uniform accountability of all paid and also took some important decisions to respond to current political challenges. “Placing PPP leaders on the ECL immediately after the CEC meeting makes clear the political motivation behind the decision. The fact that many names in the list of 172 persons didn’t even contain full details also shows the hurried, knee-jerk reaction to the PPP CEC meeting,” read the letter accusing the government of conspiring against the party. The letter also wonders if a new element has been added to the ECL policy under which people may be placed on the list merely on the basis of a one sided prosecution narrative without even a formal reference, court case and without taking into account defence plea. “The PPP therefore expects and demands names of PTI leaders forwarded are also placed in the ECL,” the letter concluded.